Welcome to the Best Built Construction Official Blog Site! In our years of experience, we have learned some pretty handy tips and tricks on how to save money while delivering top quality designs and services! Now we've decided to share our knowledge and experience with all of our loyal customers! Have a question you need answered by the experts? Send us an email or leave a comment and we'll be glad to answer it for you! In any busiess, the customer is always right. If there is any problems, make sure you reassure the customer, that your are able to handle it and you will handle it. To be a successful business owner, you have to realize the principles of running that business the right way. Im always here if you have any questions. Looking for a Roofing and Siding Specialist? How about a Kitchen and Bathroom Specialist? Call Best Built Construction for all your home improvement needs. We have innovative ideas and quality workmanship in all our work. That's why we offer a Lifetime Guarantee to insure that all the work completed on your home is done right and will last a lifetime. So visit www.bestbuiltcon.com or call 631-714-0631 and set up your appointment today! We specialize in all phases of roofing and siding. Weather your home was damaged by super storm sandy or you just want to up grade your home, we here to handle it all. Just give us a call, and we'll come give you a free estimate. We beat mostly all of our competitors and we also give a lifetime guarantee on all our work. Call me, Joshua Curtis, the owner of Best Built Construction, at 631-714-0631, or email me at bestbuiltcon@gmail.com, and I will show you the way through any home improvement job idea you have! Home improvement is a fickle thing. The problem is that many people don’t know what they are doing or, worse, don’t know what they should be doing. Everyone’s home needs a bit of improvement from time to time. Although, certain homes have more blatant improvable features than others, it is generally conceded that, if you own a home, there are always things you want to change or improve about it to make it one step closer to your dream home. There are thousands of different home improvement tips that one could mull over for hours; the important thing here, is to remember that not all home improvement tips are meant for everyone. Saving money, especially with the state of the current economy, is becoming essential practice for everyone. At Best Built Constriction, helping customers save money is one of the top priorities. It used to be that all home improvement projects were very expensive. Nowadays, however, with companies such as the Best Built Construction, a Suffolk country construction company, there is an abundance of home improvement tips designed to save you money. 1. Update Light Fixtures: Updating the light fixtures in your home is one of the easiest home improvement projects. Why? For one, the electrical wiring is already installed (which is the most difficult aspect of home lighting). Furthermore, it doesn’t take any additional ‘skill’ knowledge that most home improvement projects demand. All that is needed is the intention to do so, as well as the purchasing of new and improved light fixtures. Best Built Construction is capable of installing designer and decorative ceiling fans with light fixtures which are bound to make any room stand out! 2. Shop Online for New Furniture: Nothing makes a home look better than new furniture. There is something about the perspective change it brings. It signifies the notion of change, of movement or progress. In general, shopping online is very affordable. Many people like to implement a simple bay window with a window seat to create a more old fashion yet modern appeal in the home. Best Built Construction has installed thousands of window accents which makes old furniture look brand new just by changing the room elements around it. 3. Use Local Materials: Often, when it comes to home improvement projects, most money is spent on the materials themselves. This is because companies charge an extra fee if a home owner doesn’t have the required materials beforehand. The solution to this? Use local materials such as wood from the local lumber yard. 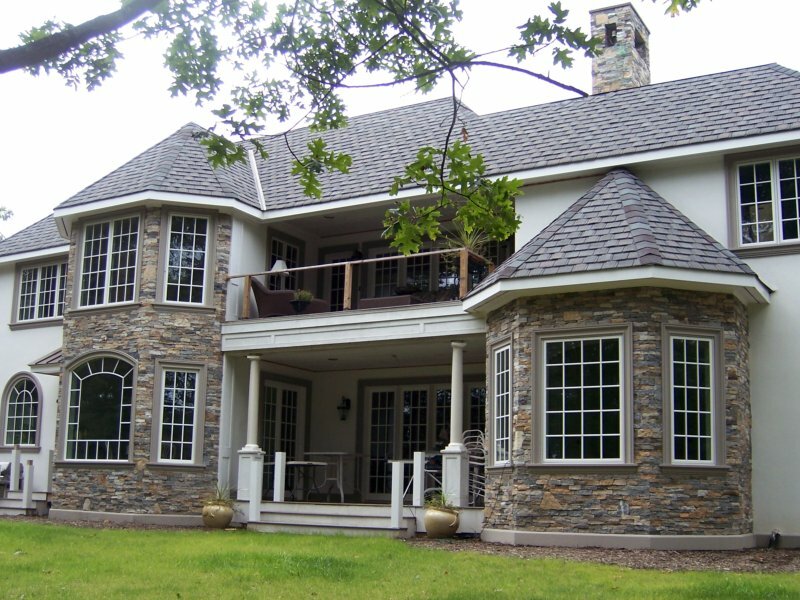 The Suffolk County construction company Best Built Construction, is one of the leaders in this sort of ‘local expenditure’.We have developed strong relationships with manufacturers, lumber yards and of course home improvement manufacturers to ensure that we can provide the most competitive prices to save you money. 4. Do the Simple Stuff Yourself: Best Built Construction will doall the difficult home remodelling. If you do all the simple work, such as painting or clipping, you will guarantee yourself a few extra dollars in savings.If you need an extra hand, have no fear, give us a call and we will work with you to get the job done right! 5. Find the Right Help: The best home improvement tips are the ones that save you the most money. What is the best way to save money? By hiring affordable help that is also of high quality. This way, you save time and money. For instance, Best Built Construction is a company that is very affordable, but also very highly regarded when it comes to producing quality results. What constitutes a high quality home improvement company? This is a difficult question to answer because, by nature of being asked, its answer will always be ambiguous. Perspective relativity comes into play here. In other words, the qualities of one company will appeal to one person, while the qualities of another will appeal to another person. However, beyond the natural tendencies of relativism which play into the likes and dislikes of individuals, there are certain truisms that can be applied throughout the industry. So when someone asks what is the best Suffolk County construction company, the question doesn’t have to be dismissed, but can be answered systematically. The above words may mean nothing to you – and that’s okay. The point here is that there is a way to distinguish what the best home improvement company is. For instance, one of, if not the best Suffolk country construction company is Best Built Construction. This can be stated based on a) the track record of success the company has had, b) the affordable pricing, c) incomparison with other local construction companies and d) the overall friendly atmosphere Best Built Construction exhibits. Local Materials: Best Built Construction makes sure it has secure and strong relationships with local lumber yards and material suppliers. This way, the cost for materials for home projects is greatly reduced. Flexibility: What makes it the best Suffolk County construction company? Flexibility. Best Build Construction will work within any budget, giving home owners that ultimate creative control. Licensed Professionals: Why do peopleuse construction companies for home improvement projects? Because they want the highest quality improvement. With Best Built Construction that quality is guaranteed through the use of highly trained professionals. The neighborhood can be a pretty competitive environment - who has the best lawn, the best landscape, the cleanest looking shingles! Okay, so it’s not competitive in the sensethat people are actually competing, but, moreover, it is in the sense that people care what their homes look like compared to the rest of the houses on the block! Think back to the last time you lived in the suburbs – was there one house on the street that always looked good, possibly better than any other? Nine times out of ten the answer to this question is likely yes. Without divulging into any psychological analysis on the matter – such as why people care what other people think – the point can be made that home improvement is important. Not only does it make you look good in front of your neighbors, but can create a friendly and more comfortable home environment. When it comes to home improvement tips and secrets, there are no shortage of ‘claims’. Many construction secrets are spilled over in a repetitive nature, many of them lacking any substance at all. On the other hand, companies like Best Built Construction actively use such home improvement secrets – and use them for the betterment of your home. In this way, they aren’t really a secret at all. 1. Painting: Best Built Construction will be the first ones to tell you that adding a fresh layer of paint is the best ways to give your home a summer feel. This may include painting, staining and refinishing. 2. Create a Summer Hangout: Summers can, at times, feel long and tedious. The sun beats down on your deck, through your windows, and you can’t escape the heat. The solution? Create an oasis on your rooftop. As far as home improvement secrets go this is one of the best. Best of all, Best Built Construction has themanpower and resources to get it done quickly and at a price that is very affordable. 3. Decks and Fencing Repair: One of the most common tasks performed by Best Built Construction is deck and fencing repair. There’s something magical about having a nice fence around your home – especially if you have children. It brings about an image of Mark Twain and his numerous characters whose adventures began in the enclaves of family fencing. 4. Clean! : Summer is time of cleaning. Best Built Construction knows that this is one of many top home improvement tips mainly because it gives the home a ‘new’look to it. It can make the neighboursjealous very quickly. 5. Be Creative: The thing about home improvement secrets isthat there isn’t really any. It is up toyou to think of the best possible way to improve your home – for you. Best Built Construction will be there every step of the way! DO YOU NEED ANY DO IT YOURSELF TIPS? If you need any tips for "do it yourself" jobs, please feel free to ask. I, as a true professional in the home improvement business, will help you step by step to guide you through any job! Is there any rooms in your house cold? Is there any rooms in your house cold? There is most likely a insulation problem. Most problems are from the windows, a very easy fix. If you have any questions or concerns about your home, please comment on this post, or email me, and I will answer your question the best I can. Thank You.